will be broadcast on June 22, 2017, at 11 am ET. Between 1948 and 1960, Neumann lectured annually at the Eranos Conferences. The papers he delivered at Eranos are among his most brilliant works. Scientific Secretary of the Eranos Foundation, Riccardo Bernardini, will offer an overview of these works and include many photographs taken at the Eranos Conferences during Neumann’s time. Eranos was created by Olga Fröbe-Kapteyn in Ascona (Switzerland) in the early ‘30s as a interdisciplinary cultural platform. It served as the only international convention center active in Europe during the war. The Eranos Conferences wound up becoming the most important meeting point between C. G. Jung’s complex psychology and other disciplines. 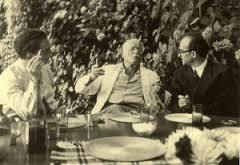 Eranos also represented a meeting point for Jung and his pupil, Erich Neumann. This presentation will retrace the steps of Neumann’s involvement with the Eranos project from four viewpoints: (1) Neumann’s encounter with Eranos and his intellectual contribution to the Conferences, from 1948 to 1960; (2) The impact of Eranos on Neumann’s work and the significance of his work for Eranos; (3) Neumann’s encounter and collaboration with the Eranos Archive for Research in Symbolism; (4) Neumann’s relationship with Olga Fröbe-Kapteyn. Several photographs of Jung and Neumann taken by Eranos photographer Margarethe Fellerer, belonging to the Eranos Archive, will also be shown. Riccardo Bernardini, Ph.D., Psy.D., serves as the Scientific Secretary of the Eranos Foundation. He is also the Founding President of the postgraduate Institute of Analytical Psychology and Psychodrama (IPAP) in the “Olivetti” University District of Ivrea and a Fellow of the Association for Research in Analytical Psychology (ARPA) in Turin, Italy. His works include Jung a Eranos. Il progetto della psicologia complessa [Jung at Eranos. The Complex Psychology Project] (2011), the critical edition of C. G. Jung’s The Solar Myths and Opicinus de Canistris. Notes of the Seminar Given at Eranos in 1943 (with G. P. Quaglino and A. Romano, 2015), and the special issue of Spring: A Journal of Archetype and Culture dedicated to Eranos (2015). Watch the excerpts from all the previous seminars now! Our most recent seminar was Neumann and the Feminine. As theoretician of feminine development and the archetypal ground of the feminine in individuals and culture, Neumann had considerable influence on Jungian thinkers that followed him. Lance Owens will present as well as Israeli Jungian psychoanalyst Rina Porat. 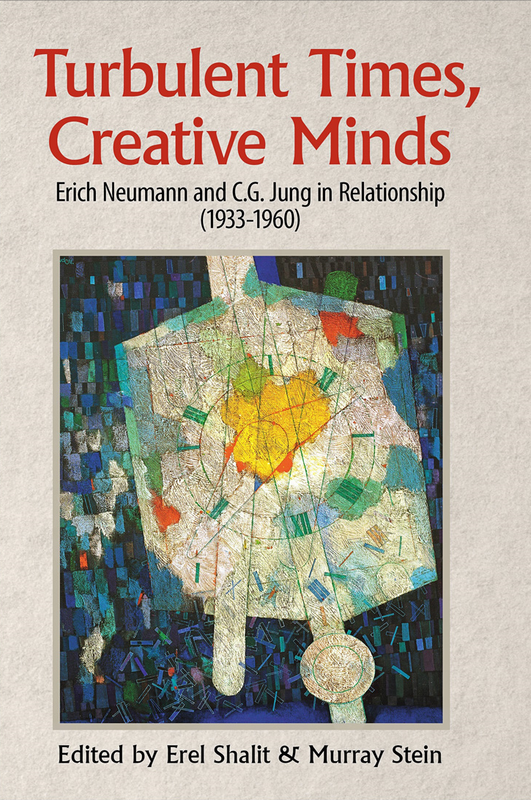 who is intimately familiar with this aspect of Neumann’s oeuvre and will summarize his views and offer her reflections on Neumann’s importance for their own thinking and practices. Erel Shalit and Murray Stein joined as hosts in this fourth installment of the series. 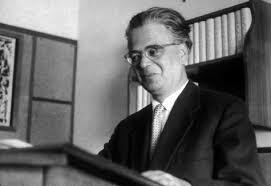 Erich Neumann has been widely considered to be Jung's most brilliant student and heir to the mantle of leadership among analytical psychologists until his untimely death in 1960 at the age of fifty-five. Many of his works are considered classics in the field to the present day - The Origins and History of Consciousness and The Great Mother, to name just the best known among many others. Now with the publication of the correspondence between Neumann and Jung (Analytical Psychology in Exile, Princeton University Press, 2015) and of the substantial papers presented at the conference held at Kibbutz Shefayim in Israel honoring the relationship between Jung and Neumann (Troubled Times, Creative Minds, Chiron 2016), a great deal of new interest is developing in the life and works of Neumann. The five-part webinar Series is devoted to exploring the important relationship between them and discussing Neumann's works in many areas, clinical and cultural, from the perspective of analytical psychology.